I got requests for brighter or more dramatic color, and something green, so here's one that's kinda all those rolled into one. I whipped out my 88 Shimmer palette for this. (I always forget I love this baby. 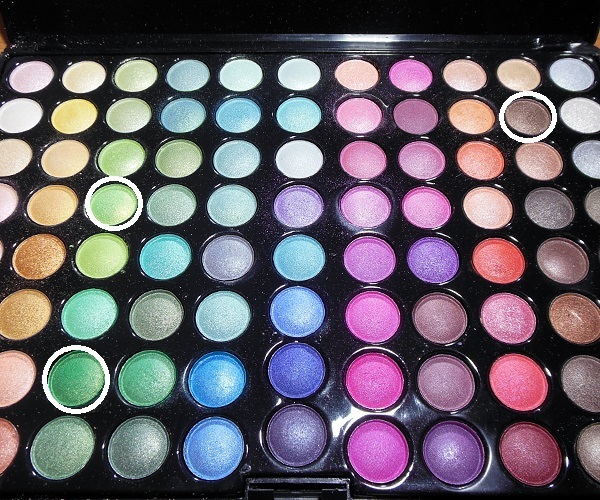 It's not dusty and the colors are beautiful.) But like most shadows, it's very important to wear a primer or some kind of base on your lid for the pigments to cling to, if you want to get the most intense effect. 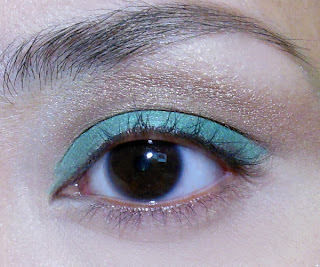 An emerald green pencil (Catrice Khol Kajal in 060 "Don't Be Mean to Green!" 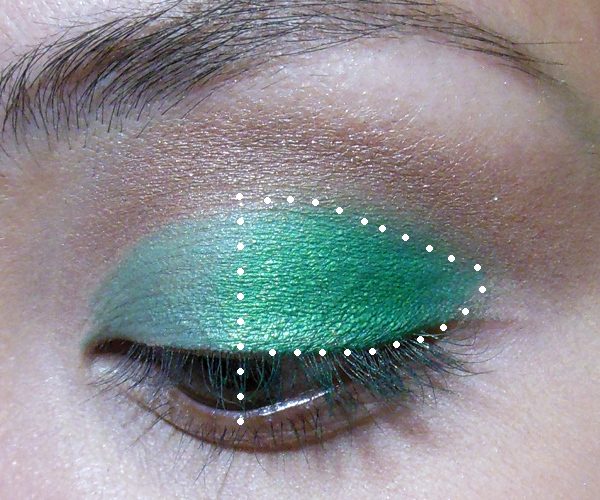 Step 1: On the bare areas of the mobile lid, fill in lightly with an emerald green pencil. This will really make any green you apply over it stand out. 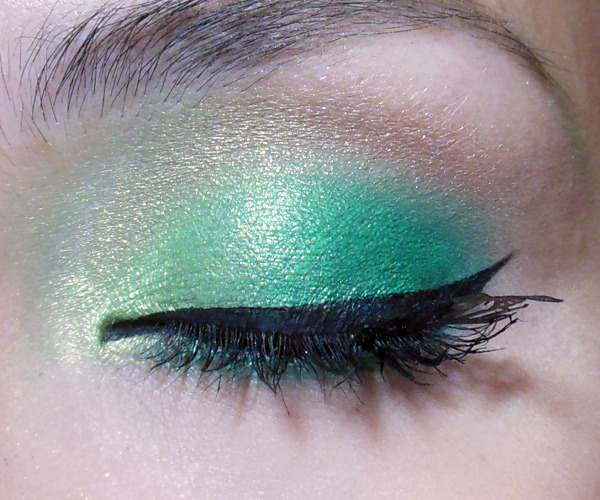 Step 3: Apply the deep emerald green to the outer half of the lids. See how intense the color looks over green shadow? 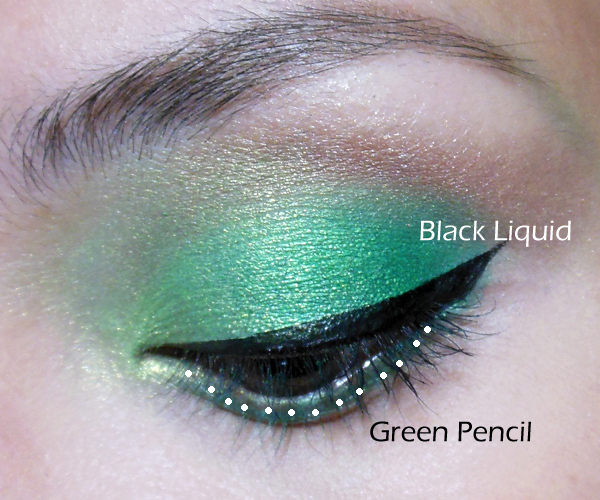 If you don't have green pencil, you can also spritz a little water on your brush (after picking up shadow) to intensify the pigments. Step 4: On the inner halves, apply the bright lime green, before gently buffing and diffusing the color out and up into the brown that you applied earlier. This combines with the brown and gives a very pretty transition along the socket line (olive to bronze). Step 5: Some steps are optional. 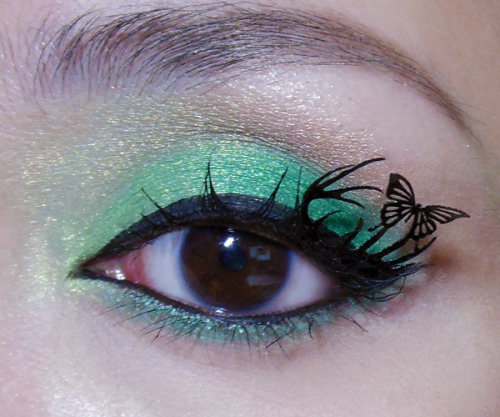 I applied green pencil along the lower lash line, and then ran black pencil along the waterline. You can skip this if you have a long or narrow eye shape and don't want to make your eyes look even narrower. The only crucial part is to apply a black liquid or gel liner along the upper lash line and extend into a very short flick. This is going to be the base where you will pop your lashes, so it should be quite dark and solid. 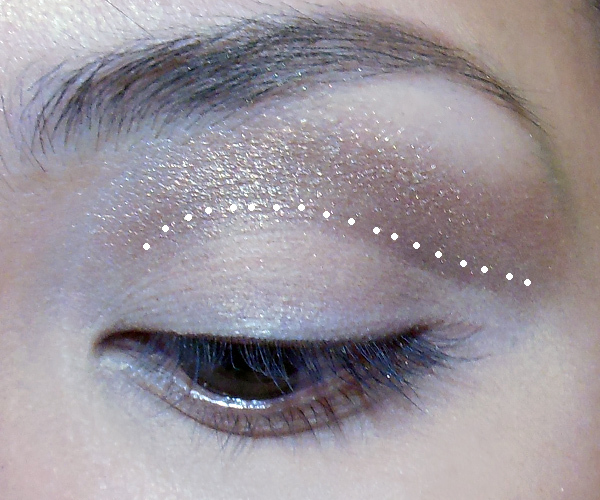 Lastly, apply glue to your lashes (regular falsies would look gorgeous if you don't have paper lashes) and just pop them on to finish the look. Always remember to apply the lash glue to the surface rather than just the edge of the lash band. 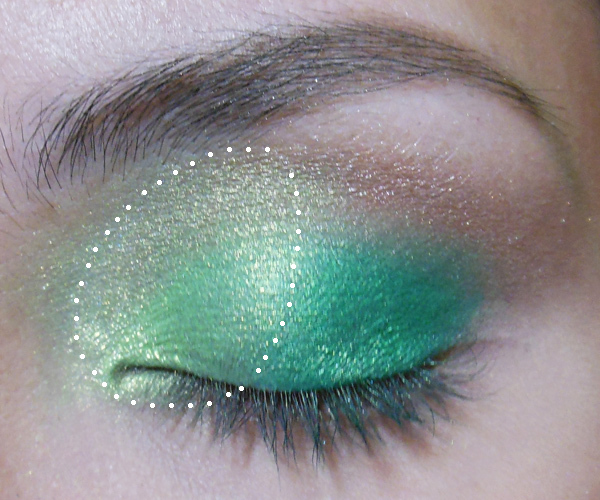 They are meant to point upwards, instead of laying down against your lashes, so the strip needs to stick against your lid a little. 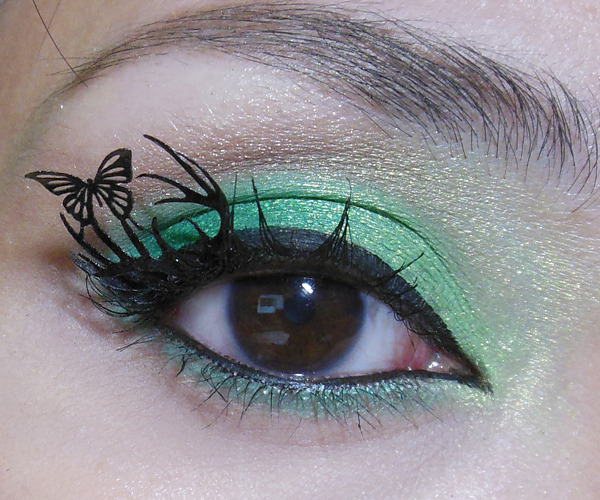 I coat my paper lashes with clear nail polish on both sides, and let them dry before using them. Otherwise they're easily ruined (bends, curls, tears, glue) with 1-2 uses. This way, they stay intact and you can gently clean them for re-use.